What’s good world?? So my co-blogger has been genuinely killing me on the blog tip lately, so I have to step my game up. With that being said… Yeaaaa it’s crunch time baabaay!!! Haha but the topic of discussion for today will be taking risks and how it goes both ways in the dynamic of the male-female relationship. 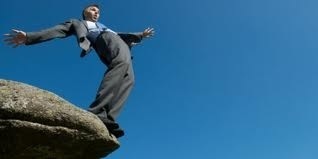 If you are not willing to take risks, how can you ask for risks to be taken on yourself? Or another question to be asked can be are risks worth being taken from either side? These two questions to me are the most dynamic when it comes to how males and females interact with each other when first meeting. I feel these two questions are some of the most important when a man is interested in a woman and vice versa. Lets delve into this issue a little deeper. First question: If you are not willing to take risks, how can you ask for risks to be taken on yourself? This is a simple question when first presented. As the old saying goes, “Do unto others what you want done unto you…” or something along those lines anyway. Treat others how you want to be treated and the same shall be given to you. That’s how it’s supposed to be anyway, but we all know that isn’t necessarily the case all the time. Me and my co-blogger discuss quite often how we feel women always want a man to chase them or to take a risk on them. Women feel that it’s necessary for a man to take all the risk on them and they don’t have to do the same. No matter how much a man loves a woman, if he isn’t willing to put it all on the line, his love is never enough. Lets use an example: A woman will tell a man that she feels he needs to court her. So a man might respond with, at what point is it me courting you or me chasing you? Right there it was agreed that courting should be done, but the man just wanted to know how much courting needs to be done for the woman to decide. Now a woman will hear that question from the man and feel that the man who isn’t willing to take the risk of always courting her or always chasing her means that the man doesn’t truly want to be with her. Now is that really a fair assessment of his feelings towards her? Maybe so, maybe not but this is the bridge that has to be crossed at some point. Now on to the second question: Are risks worth being taken from either side? I think this is a very important question because it presents the scenario where both parties have to be willing to put forth something. Both the man and the woman have to bring something to the table. I feel this question puts the onus on both parties to make a conscious decision on whether they are willing to put up the effort to keep the other person around. Is this person that you met worth the risk? Simple enough to me, I feel that if you can say no to that question, then you can’t expect the other side to say yes. Now I could have asked the question differently. I could have made the question be dependent just on the individual person. But that would take away from the point I am trying to make in this blog. I made it plural to show that both sides have to agree to something. If both sides are willing to take risks, then the dynamic of the relationship will grow. And if both sides agree not to take risks, then there is no confusion and they still can move forward. I feel that women get so caught up in getting a guy to take a risk on them, that they forget that the guy should have a risk taken on them too. Risks are a tricky thing. Everyone feels that they deserve them taken on them, but how many people are really willing to take them? As my pastor said today, “God took a risk on your saving your life, now take a risk on changing your life for The Lord.” Risks are a two way street. Nobody wants to be taking risks constantly on a person and not having the same feeling reciprocated. This blog is geared more towards women only in the sense of hoping this helps women have better relationships with men that they are first meeting. I’m not saying it is going to help you find the man of your dreams. But what I am saying is that it will help stop a lot of initial confusion when first meeting a man. Men do feel as if risks should be taken both ways and women have to understand that it is okay to take a risk on a man too. Yes I believe that a man should take a risk and court a woman. But I also believe that a man shouldn’t feel like he is chasing a woman because he is always taking the risks in the relationship. A woman should be able to put her pride to the side and put a risk into courting a man also. I’m sorry ladies, but the days of Romeo and Juliet are over. It isn’t realistic to me for a woman to feel that a man has to risk everything just to have a chance of being with you. That is just too much to ask for from a person if that person isn’t willing to put up equal value. So I know you are scared to take that risk and jump off the edge because you can’t see what’s on the other side, but take a chance and go ahead and jump. You never know what the end result will be if you don’t try, so try something new. As the old saying goes, “Don’t knock it until you try it.” Or something like that anyway haha. So until next time world, peace out.